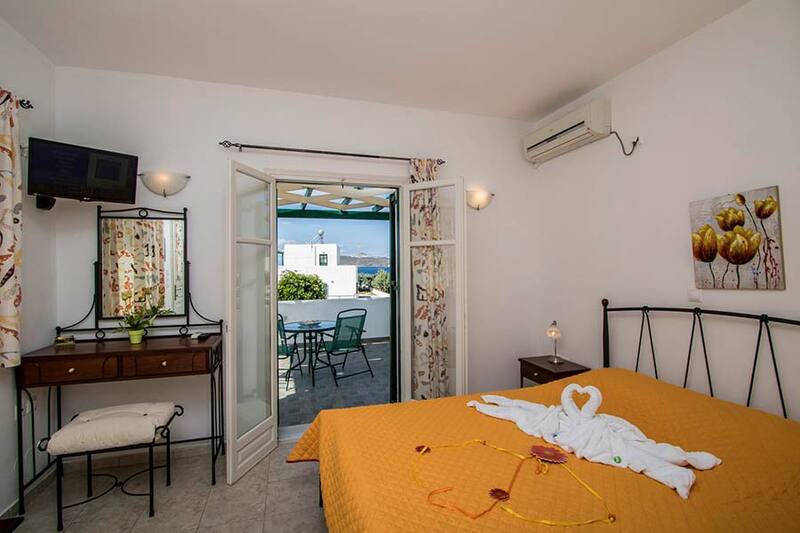 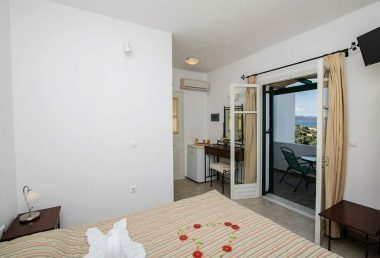 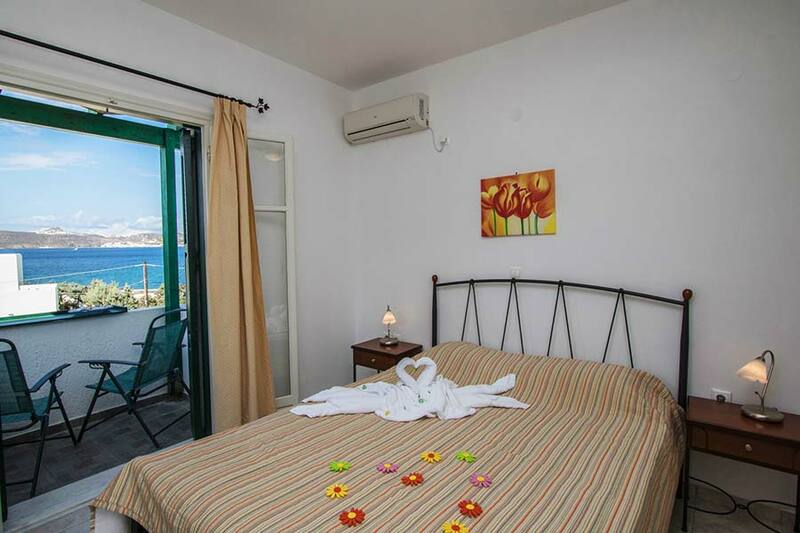 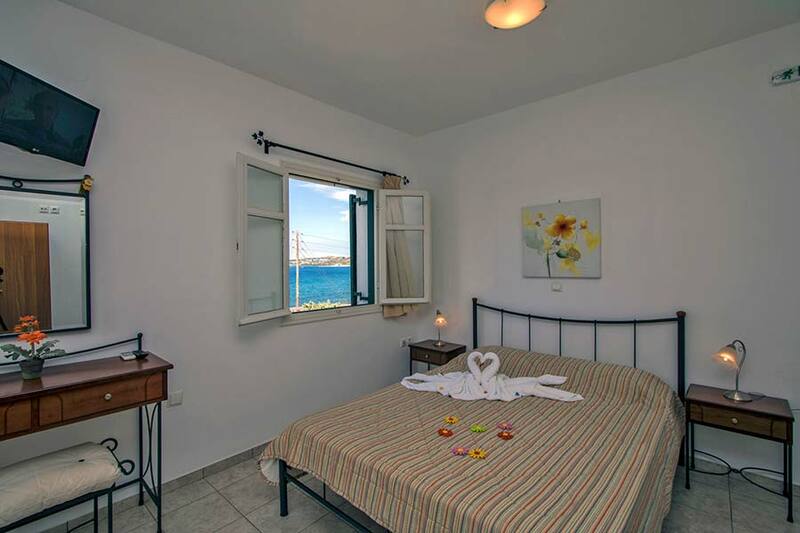 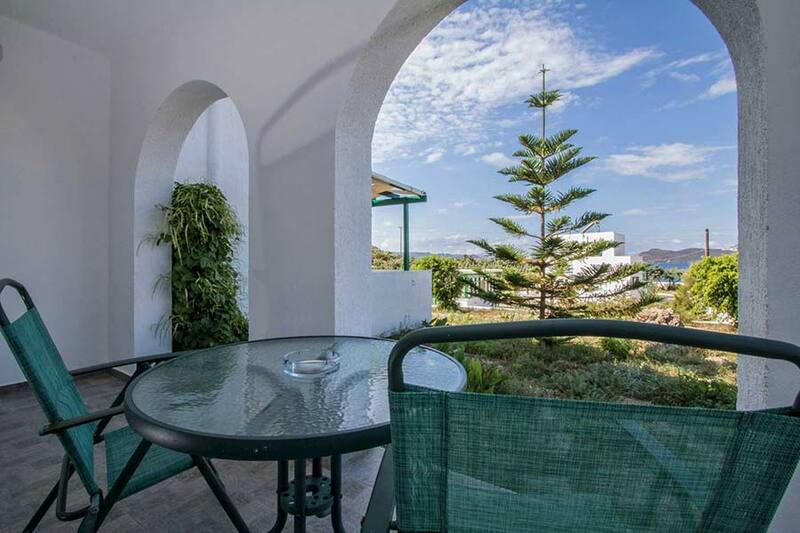 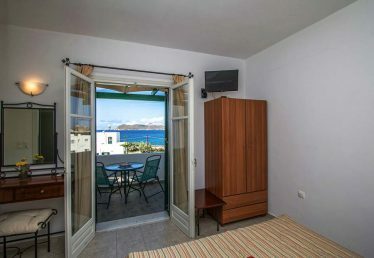 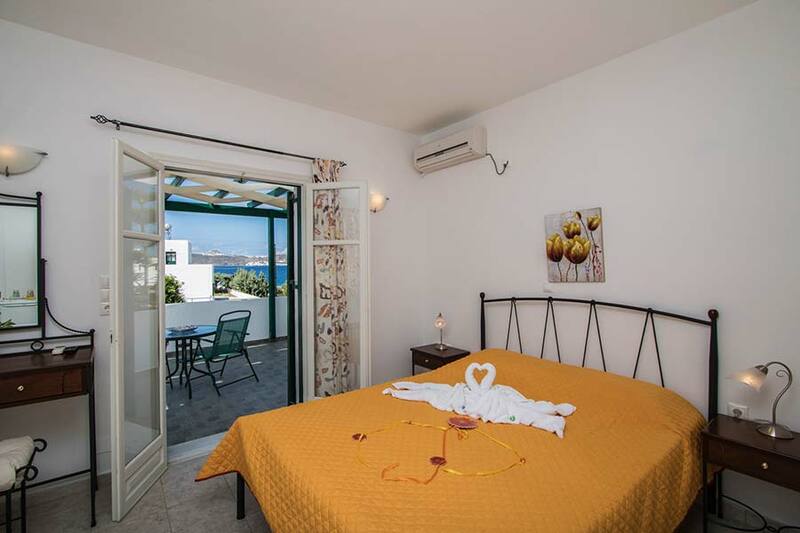 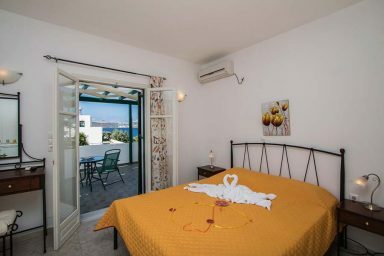 Akrothalassia hotel in Milos has a total of 8 double rooms with sea view. 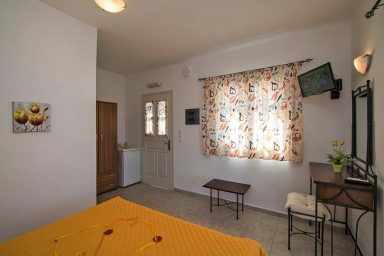 All rooms are comfortable and bright. 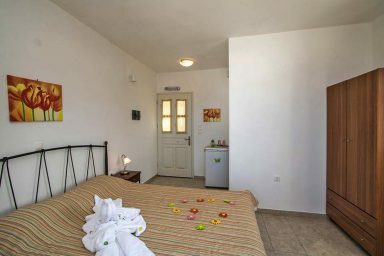 The furnishings are in simple style as befits the simple Cycladic architecture. They feature wrought iron double bed and all the essential decorative elements that create an intimate and relaxing atmosphere. 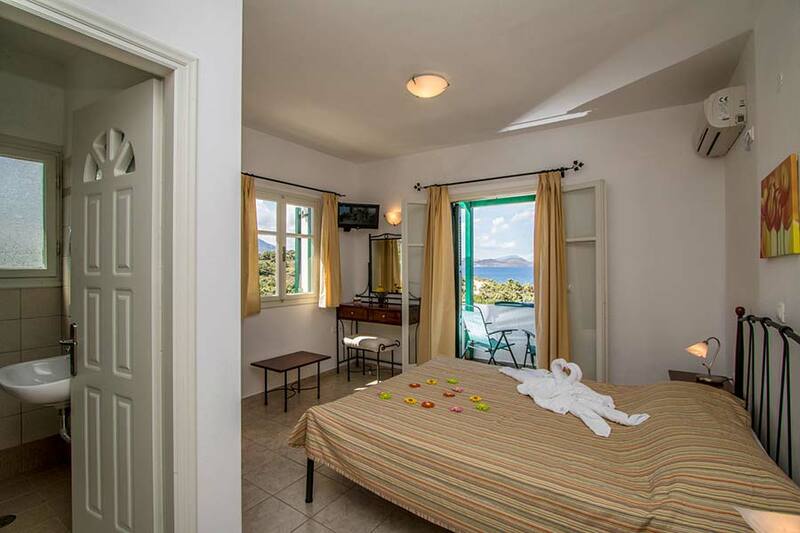 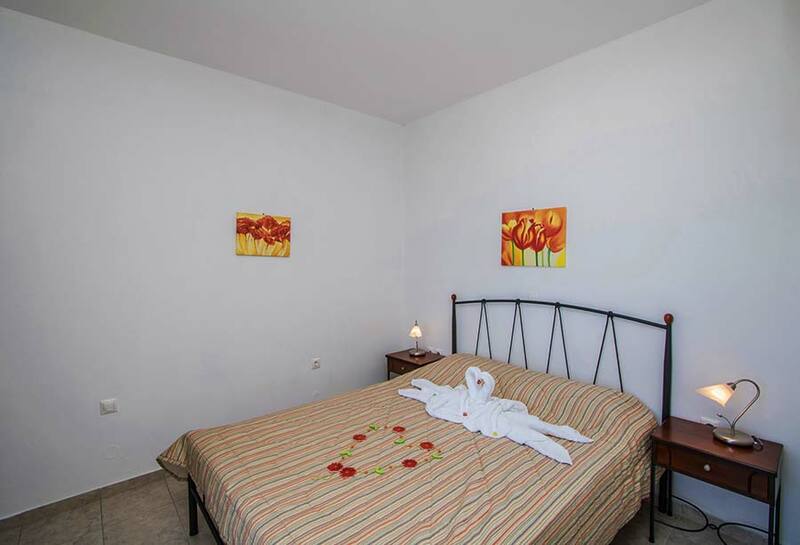 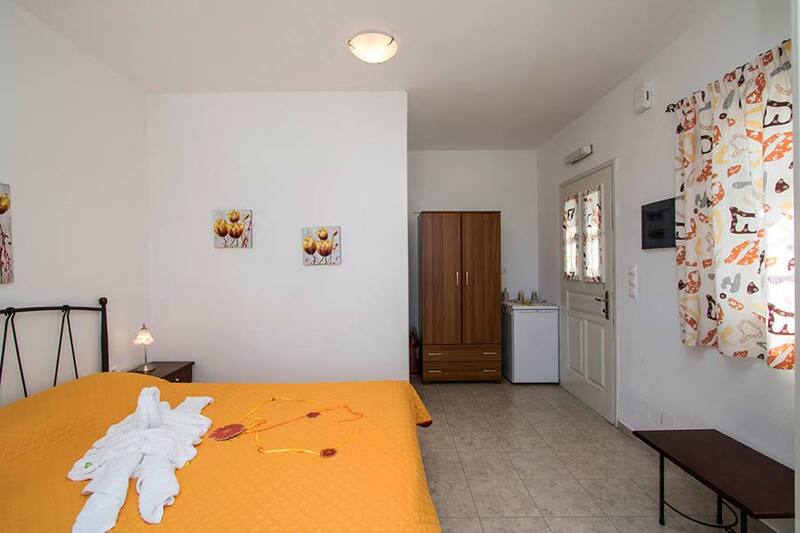 All rooms have free wifi, air conditioning, television, refrigerator, furniture toilet and wardrobe. 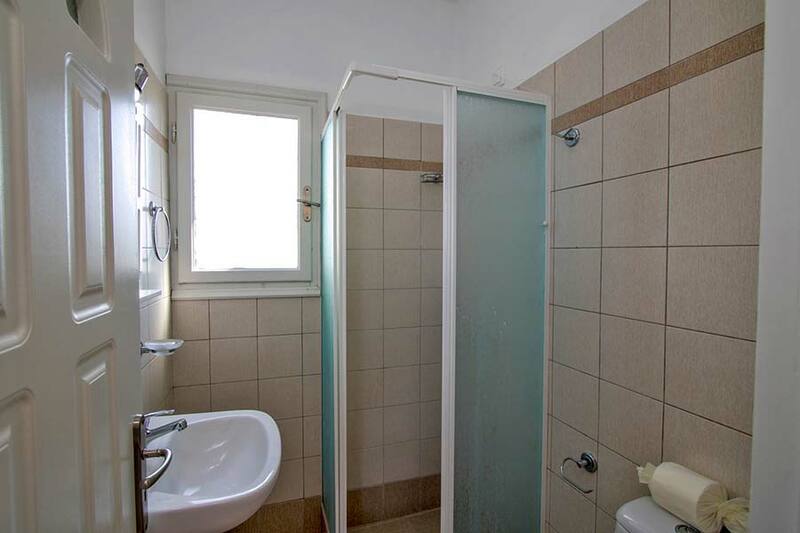 The bathroom has a shower cabin. 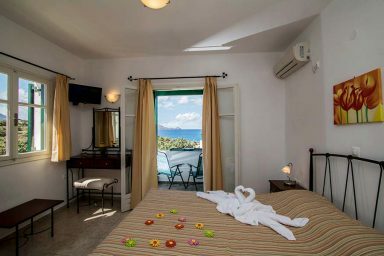 The balconies of the rooms have sea views where you can relax and enjoy the sunset. Akrothalassia complex has also a double room with no view which is semibasement. This is also a beautiful and comfortable room tastefully furnished. 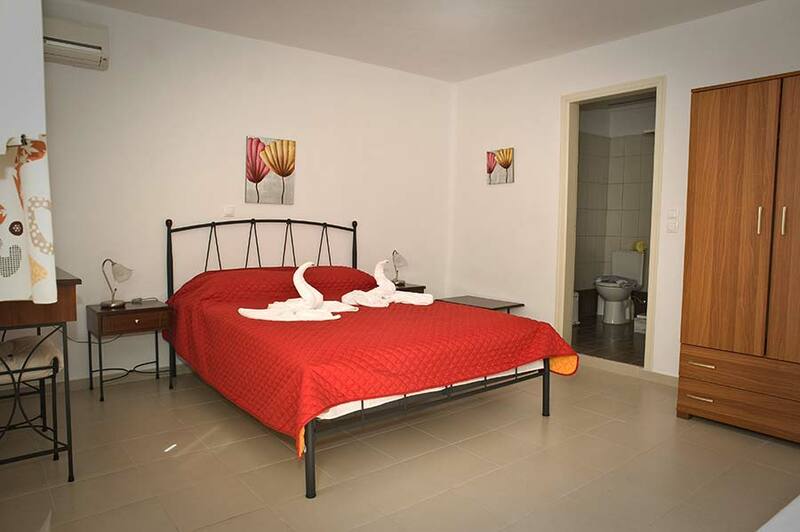 It has a double iron bed and provides all the comforts to its guests. The room has free wifi, air conditioning, television, refrigerator, furniture toilet and wardrobe. The bathroom has a shower cabin.